Municipal governments are taking on a small, but historic role in fostering workers' self-management. Specifically, two municipalities have been compelled to invest funds and resources into worker cooperative development: New York City, and Madison, Wisconsin. While each of the cities already possess some of the largest worker cooperatives in the country – Cooperative Homecare Associates and Union Cab, respectively – the municipal governments of these cities are seeking to facilitate the expansion and proliferation of the model. Between the two municipal governments, New York City was the first to commit funds to worker cooperative development. In late June of 2014 the City Council included the $1.2 million USD Worker Cooperative Business Development Initiative in its fiscal year 2015 budget. While constituting only a drop in the bucket relative to the overall budget, the initiative was the first of its kind on such a scale within the United States. The initiative was pushed by the NYC Worker Cooperative Coalition, which at the time was composed of fifteen groups -- including two groups from CUNY: the CUNY Law CED Clinic and Student Organization for Democratic Alternatives. Since the passing of the initiative the coalition has grown as a number of other groups are seeing the upside of developing worker cooperatives. The City Council's commitment to facilitating the rise of worker cooperatives was reaffirmed by the passage of Intro-423. In total, forty-nine council members voted for the bill, and zero voting against – two council members abstained. On 18 March 2015 Mayor Bill de Blasio signed Intro-423, which, as Green Worker Cooperatives notes, "requires the Department of Small Business Services and the Mayor's Office of Contract Services to report on the number of contracts awarded to worker owned cooperatives and the amount of worker owned cooperatives that are receiving assistance from the city." Also, according to a mid-year report from the New York City Worker Cooperative Coalition, on top of the preexisting twenty-two worker cooperatives, twenty-four new worker cooperatives are slated for launch by next summer. There are an additional twenty worker cooperatives in development, bringing the overall amount to forty-four new worker cooperatives. Many of these worker cooperatives have been built from scratch. A number of others were capitalist businesses that have since been converted into worker cooperatives, or are on the path to doing so. Conversions are becoming more of a staple in the worker cooperative movement. A particularly intriguing, and recent, example of this is the newly formed Island Employee Cooperative. It is the largest worker cooperative in Maine, with a composition of sixty-two worker-owners. Previous to its conversion, Island Employee Cooperative existed as three separate businesses owned by one couple. The couple’s decision to sell the businesses led to the transition into democratic-employee ownership. This was seen as an effective way to keep money and jobs in the community. Since last year's initiative the New York City Worker Cooperative Coalition has expanded. Also, the coalition is pushing to double the funding from last year. This year's proposed Worker Cooperative Development Initiative is set at $2.34 million. With this funding the movement is looking to increase the number of worker cooperatives from forty-four to seventy-three in New York City alone. To assist in the efforts of passing the $2.34 million initiative one can easily sign this change.org petition. 1 - "Our workers are vested in the projects. The company's success directly benefits them." 2 - "Due to a higher retention rate than most midsize companies, our workers have more focused training to constantly improve their skills." 3 - "With workers profit sharing in the company, they have living wages that make them healthier and more attentive to their worker." 4 - "With all workers looking out for losses in efficiency, projects get completed on time. 5 - "The client can feel good that their project is creating full-time living wage jobs." The advantage of conversions also lies in the fact that workers likely don't require extensive industry-skill training, nor go through an extended process of learning about each other as co-workers. 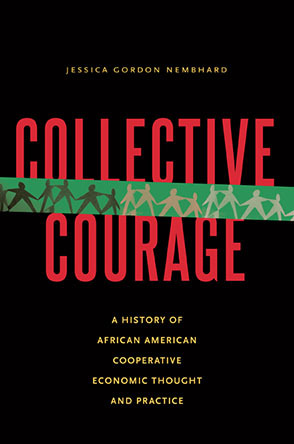 As Melissa Hoover – the Executive Director of the U.S. Federation of Worker Cooperatives – noted in an interview with Democracy Collaborative, "from a cooperative development standpoint, it's generally just a lot easier and less risky to finance the sale of an existing business than to start something from scratch." Hoover also states that conversions can be presented as another selling option for outgoing business owners. There are even viable policy proposals for boosting conversions. For example, a given locale or even nation may implement a policy of workers, collectively, holding a right-of-first-refusal. According to Investopedia, a right-of-first-refusal is "a contractual right of an entity to be given the opportunity to enter into a business transaction with a person or company before anyone else can." Providing workers, as a collective, with this right could be a significant catalyst in proliferating workers' self-managed firms. This departs from looking at conversions as something to be employed for a failing or struggling business, such as the case of workplace recuperations and expropriations in Argentina. Conversions are viable for quite healthy businesses as well – even preferable. Within New York City, the NYC Network of Worker Cooperatives – the business association of worker cooperatives in the metropolitan area – is, in particular, looking to the tactic of conversions to foster growth in the cooperative sector. The case of New York City cannot be understated due to the impact it had on the city of Madison. As Jay Cassano notes in his 2 February 2015 Fast Company article, Paul Soglin, the mayor of Madison, stated "he got the idea from New York City's" Worker Cooperative Business Development Initiative. What "idea" is this? It is an initiative to invest $1 million USD per year for the next five years for the purpose of establishing worker cooperatives. The idea has been approved by the Madison city government. Soglin himself states: "I'd read about what Mayor de Blasio had proposed for New York City when I was in the process of developing the 2015 city budget. I simply went back to the office next day and said 'we're not going to be upstaged by New York City." What makes the Madison initiatve important is that it is a multi-year venture, so that those doing the development work can rely on that to properly carry out research, and successfully target businesses for conversions. Mayor Bill de Blasio did not himself propose the Worker Cooperative Business Development Initiative. Also, developments in Madison are more complex than the narrative provided above. Yet, the point remains: the NYC initiative has set a precedent that provides the possibility for replication across the United States, especially by municipalities and states. Alexander Kolokotronis is a BA/MA philosophy student at Queens College, City University of New York. He is the founder of Student Organization for Democratic Alternatives, and the Student Coordinator for NYC Network of Worker Cooperatives.This piece is adapted from an earlier piece in the GC Advocate of the Graduate Center at the City University of New York. Can worker cooperatives alleviate income inequality?